For centuries Shoreham folk have earned a living from the sea and one hundred years or so ago the fishing families of Ratcliffe, Page, Laker and Maple were prominent. Perhaps the best known of them were the Maples who sold their fish and oysters from their shop at the west end of the High Street in one of the ancient cottages that once stood alongside the King’s Head pub. 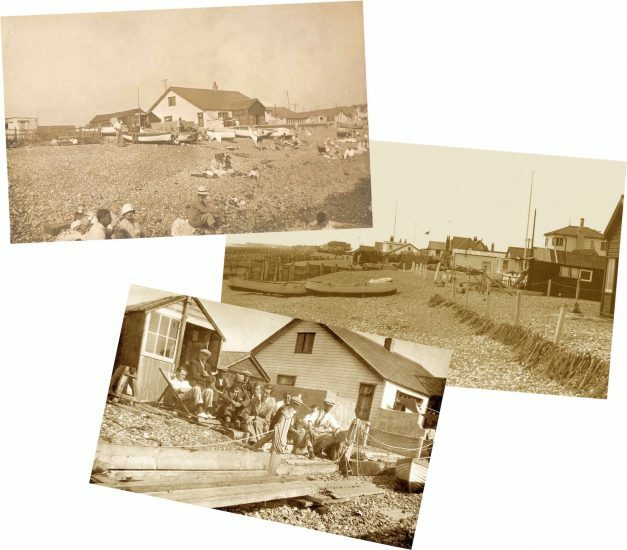 1930’s Shoreham historian Arthur Wilde tells us that in 1879 Sam Maple had a railway carriage towed over the river and sited on the beach for use as storage for his fishing equipment but also as a bathing hut. 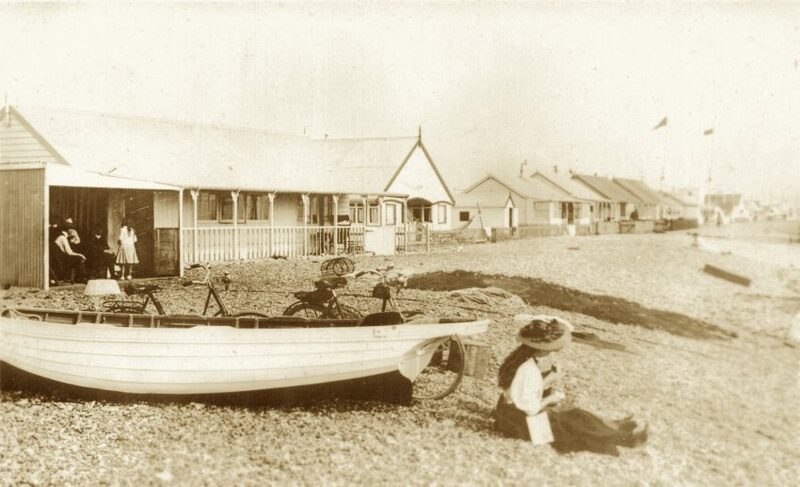 This carriage was later included as part of their bungalow Sea View (later split into two properties) located on the beach just below where the Church of the Good Shepherd was built. 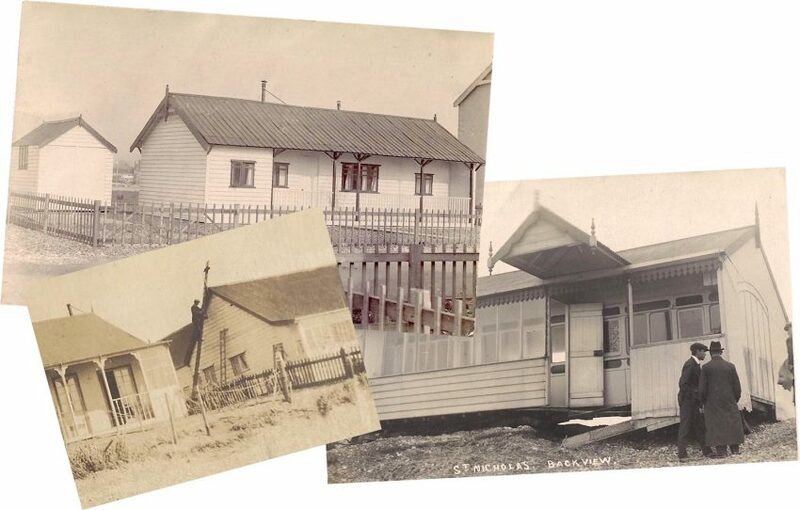 Early postcards of the area show boats on the beach by Sea View and one in particular when it had a shed or porch on the side of the bungalow where the family can be made out sitting inside and their boat with the nets drying alongside. They were a very active family particularly in the sporting sense; Sam Maple, the head of the family, was a successful national sculler and is shown as having won one of the cups for that event in the 1867 Shoreham Regatta. Of his sons Alfred and Arthur, the former rowed for Shoreham Rowing Club and both played for the town’s football club in the early 1900’s, probably the most consistently successful club in Sussex then particularly during the season of 1905-6 when Shoreham were champions of the West Sussex League also winning the Sussex Senior Cup and the Royal Irish Rifles Cup (1). Most in the fishing work group were family members but did also include others. Like many in Shoreham at the time they often worked in between various other jobs to earn money wherever they could. Some crewed local vessels and fishermen can be seen in photos of the period wearing jerseys displaying the name of the boats they worked on. 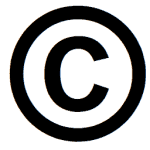 Arthur Maple for example was also a builder and in addition to developing Sea View built, repaired and maintained other properties in Bungalow Town. Bungalows they worked on. Top:- Coomakesta next to St. Brelades on Beach Road. Below right:- a storm damaged St. Nicolas on the beach at Widewater. Below left:- the Maples working on repainting Allandale. Each of the families had their own stretches of beach where they kept their boats and fished from. 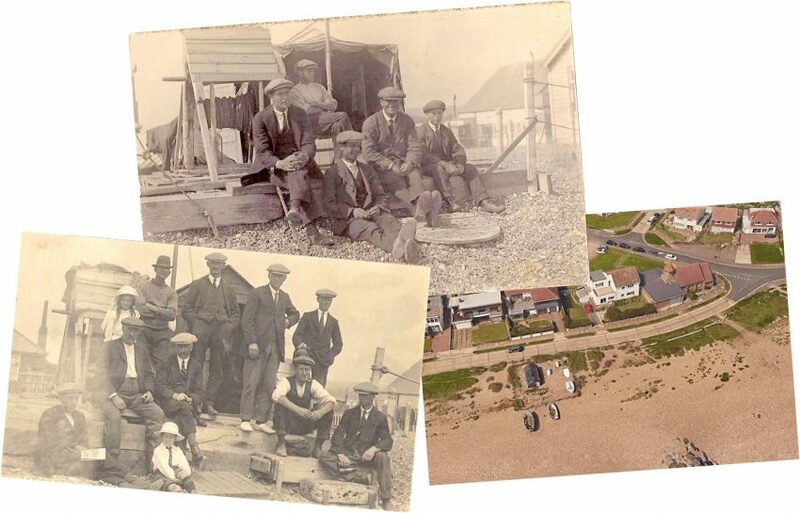 These included a capstan or winch for hauling their boats up the beach that can be made out in the numerous seaside photos taken by Shoreham photographer William Winton and others. They had their own huts as well in which to keep their nets and equipment, rest between the fishing trips and watch out for the mackerel shoals. The Maple’s fishing base location at Sea View was relinquished after they had developed the property and sold it off moving on a little further west where they built a hut nestled between Lazyland and Rock Point bungalows. 1931 Map showing the names and location of bungalows in the area around the church that are mentioned in this article. 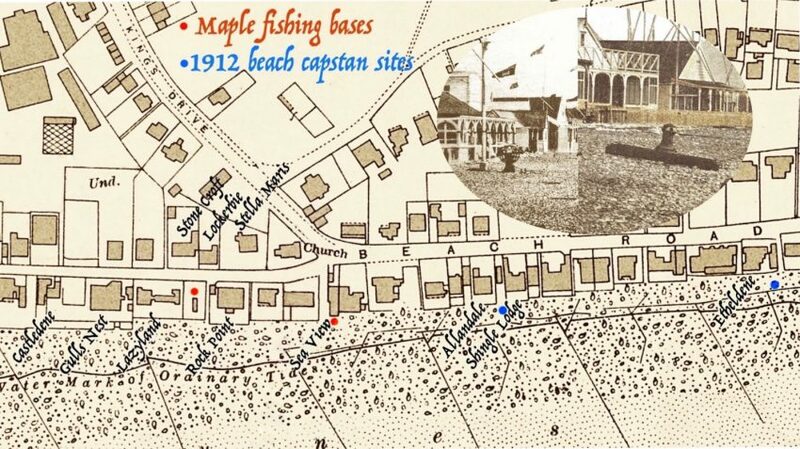 One of the 1912 capstan positions may well have been used by the Laker family, the Maples’ competitors, and both locations each appear to have a small hut for fishing equipment. Inset is the wheel winch or crab capstan between Allandale and Shingle Lodge bungalows and the standard capstan outside Etheldene. Top: Looking towards the Maple’s fishing hut and Rock Point bungalow alongside. Centre: The hut (right) and boats with the two storey Lazyland behind. Below: A closer view with Rock Point in the background. The Maples with their winches. Top: Arthur Maple with his eldest son Sam on the right – beyond them across the road is the bungalow Stella Maris. Below left: Centre, back is Alfred Maple, his brother Arthur stands beside him with his hand on his hip. 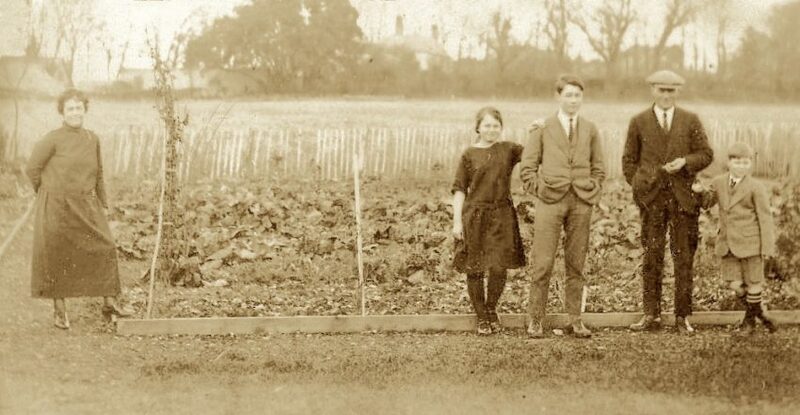 The girl and boy are thought to be Arthur’s children Daphne and John. The lookout is seated on the right holding a pair of binoculars. The roof and chimney of Stone Croft bungalow can be seen on the left. Below right: An aerial view of the location today (google earth). Thanks to Tock Ayling and subsequent guardians the fishing spot still survives albeit with new hut and boats. Other fishing groups also worked nearby, all were within sight of each other and well aware of each others’ movements. Shoal sightings were doubtless noticed at the same time by both that may have resulted in a race to launch their boats. Usually though the shoal was much nearer one group or the other to make a race not worth while and the conceding group would be left to grumble amongst themselves by criticising on a move by their competitors that was too early or too late if the shoal subsequently moved away from the shore. Beyond, and next to Lazyland was Gulls Nest, at the time the home of the famous music hall artiste Florrie Forde, and the impressive castle-like Rhodesia (later destroyed in a fire and replaced by Castledene) that towered over all the bungalows in that part of the beach. Here lived the young widow Agnes Rhodes who’s close proximity to Arthur Maple’s nearby working base doubtless influenced their meeting, courtship and engagement – a relationship that never resulted in marriage and ended tragically with her death in 1904 (2). Arthur was eventually to marry Ivy Winton, daughter of William Winton senior who organised the Shoreham regattas and carnivals. 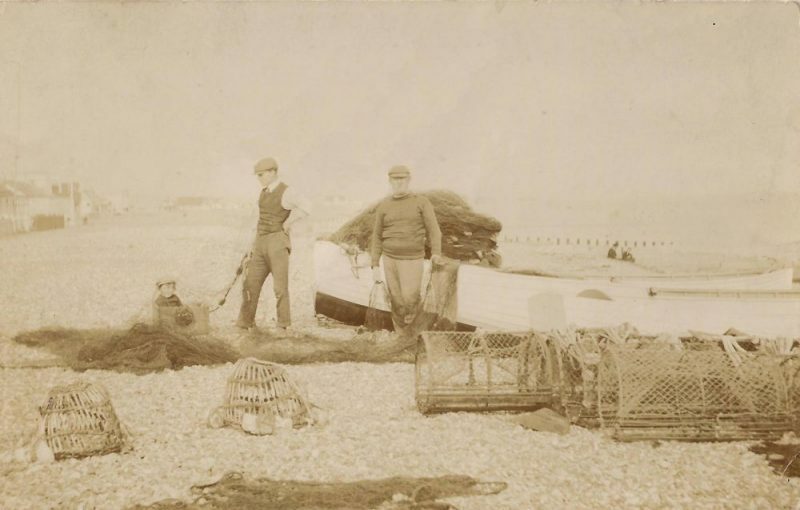 Her brother William junior, a prominent photographer of the time, captured many of Shoreham’s scenes and events in the early 1900’s and sold them as postcards. It was probably this union that led to William photographing one of the Maple family’s fishing catches. 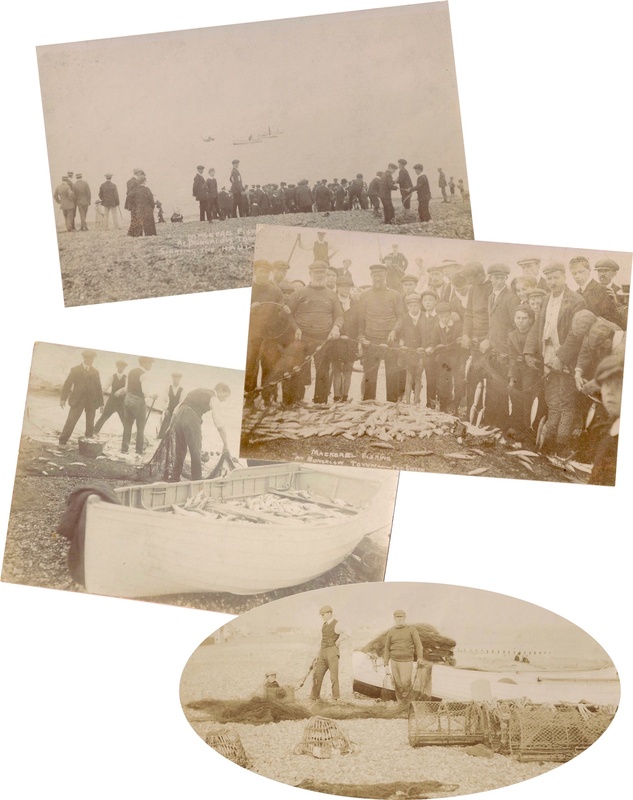 This series of photos records an historically important part of Shoreham’s past showing seine net fishing involving not just the family but also the willing help of the bystanders. This form of fishing was still being carried out at Shoreham after the war and I remember the excitement of being involved once from the moment when the fishermen’s shouts alerted us to the shoal of mackerel that were disturbing the water’s surface as they fed on the whiting they were chasing. One man on the shore held one end of the net while a boat was put out with two other men in it, one rowing and the other feeding the net out as it circled around the shoal as fast as a rowing boat could to prevent the shoal escaping. Completing the encirclement the boat landed back on the beach and joined the two ends of the net. The fishermen then called upon the watchers inviting us to add our muscle for the haul of the catch back to the beach – a surprisingly heavy task despite the number of willing helpers and looking very much like a team in a one sided tug of war! The boats put out and onlookers hold the end of the net Collecting the catch and at the end of the work a little fun with another catch – a very young Maple. For me though the excitement of the moment was tempered by pity at the moment the fish were dragged on to the shore – some crushed by the weight of the catch, all unable to breathe in the way fish do, and others flopping about in the desperate hope of finding water again. The guilt though evaporated somewhat during the supper of fried mackerel shortly after. Arthur’s knowledge of the Beach, weather and tides that he had accumulated over the years of fishing there with the family was to stand him in good stead. After the particularly bad storm of 1910 he was appointed Superintendent for the Sea Defence Commissioners at Shoreham, a position that his son Sam was to take over on Arthur’s death in 1942. 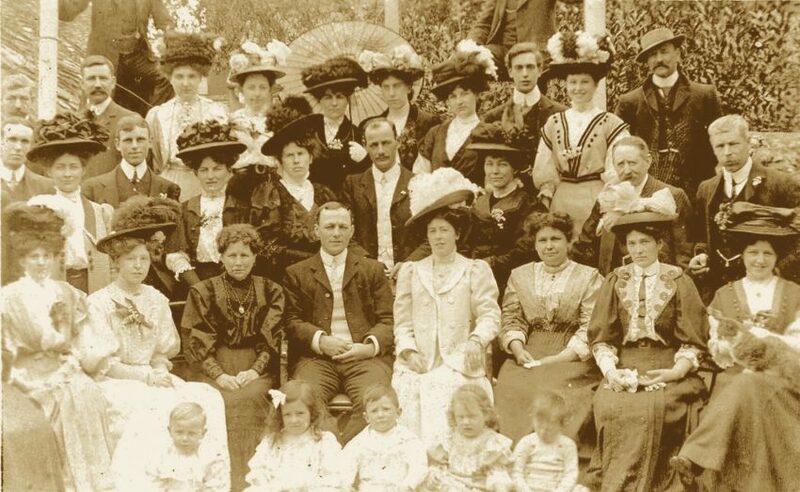 Arthur and Ivy were to have five children – Sam in 1908, Daphne 1910, Dorothy 1912, John 1915 and Nancy in 1916. Like Ivy’s brother Bill Winton’s family the Maples offspring were very much involved in amateur dramatics and their various names often appear in the programmes of productions during the 1920’s and 30’s. Their father’s sporting past was also very much in their blood as John played cricket, rowed for the town and both John and Sam played football for Shoreham whilst Daphne was a member of the town’s hockey team. Despite working on the beach and Bungalow Town Arthur and his family never lived there, starting their married life at the shop in the High Street. They later moved to Victoria Road and eventually a house they named Hollywood in the Upper Shoreham Road (No.424) where Ivy, Daphne, Sam, Arthur and John appear here in the back garden. The family though were beset by particularly tragic circumstances and more than most would normally be expected to suffer. Daughters Dorothy and Nancy died in the same year at the awfully young ages of 10 and 5 respectively. During WW2 John had enlisted with the RAF and married Vera Everett at Feltham in Middlesex. John was a pilot officer with 35 Squadron based at Linton-on-Ouse, Yorkshire, flying Handley Page Halifax BII’s for Bomber Command’s regular nightly raids on Germany. The squadron was also involved in the famous attack on the Tirpitz at Trondheim Fjord in April 1942 but it was on one of the German raids during the night of 26thJuly that year that John’s aircraft was shot down over Holland. John now rests in the Jonkerbos War Cemetery at Gelder in the Netherlands. John’s sister Daphne, a bubbly, attractive girl, played for and was secretary of the Shoreham Ladies’ Hockey Club. She married local man Robert Bartlett at St.Nicolas church, Old Shoreham in 1940. The couple had a son, John, in 1942 but four years later Daphne contracted an ear infection. The hospital doctors would not administer penicillin as Daphne was pregnant with a second child and she died shortly after. Having suffered the loss of her husband and four of her five children Ivy lived on until 1952 aged 72. Sam Maple was luckier – he was a qualified engineer working for the Sea Defence Commissioners, a position he attained after the death in 1942 of his father who had held it before him. In fact Sam had wanted to join his brother and enlist but was in a reserved occupation added to which the Commissioners resisted his request. Sam married in 1939 to Mary Taggart, an Irish girl and nursing sister at Southlands Hospital, who has her own stories of wartime Shoreham now recorded in the Shoreham Society booklet ‘Memories of Shoreham.’ Sam died in 1970. An excellent summary of my family(Maples, Wintons, Bartletts). Could I point out that Arthur and Ivy had 5 children, not 3 as stated. Sadly Dorothy (1912-1919) and Nancy (1916-1922) tragically died while still young. Good to hear from you again John but no, we didn’t know about the sad loss of two of Arthur & Ivy’s children and will note our records, thanks.